If you want to learn how to use a derma roller but don’t know where to start then you are in the right place. 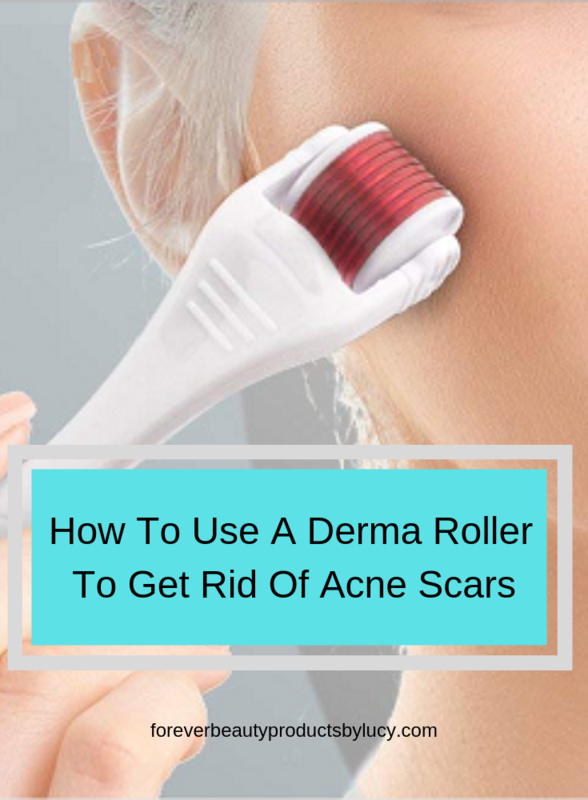 Here I will show you step by step on how to use a derma roller for acne scars, what you will need and what to do afterwards. I’ve used this little tool a few times now and am loving the results. If you have discipline, commitment and patience you will see your skin get beautiful right before your eyes in no time. Keep in mind a derma roller does not clear or get rid of acne. It is only for acne scar removal. 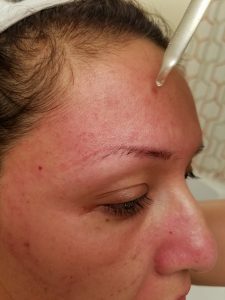 Micro Needling At Home What Size Should I use? How often should I use the derma roller? **Disclaimer I am not a skincare professional. The advice and instruction that are on this post are solely from my experience and on the research that I have done on my own. 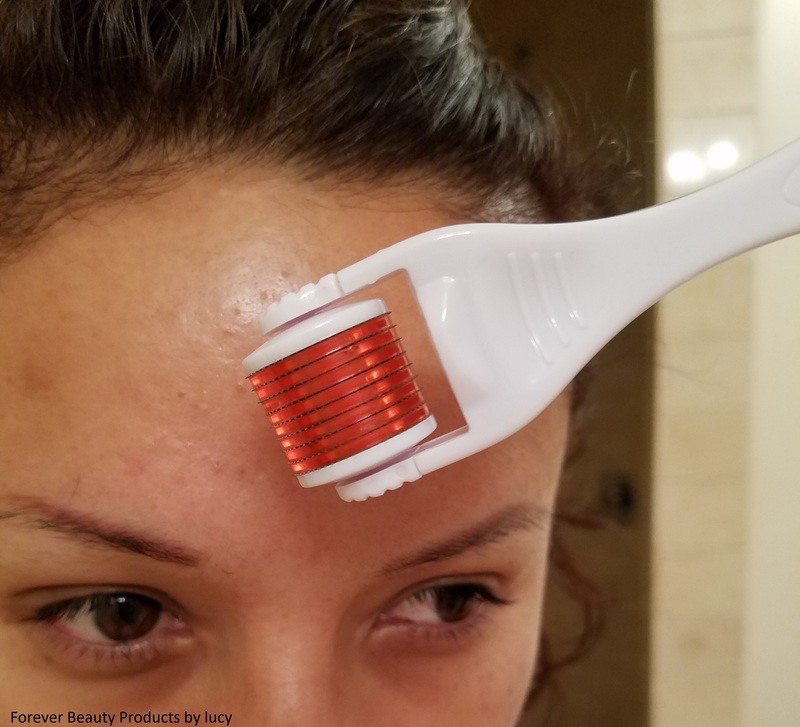 How Well Does The Derma Roller Work? Before we get into it let me show you what the derma roller has done for me. The first picture was taken before I knew how to use a derma roller. 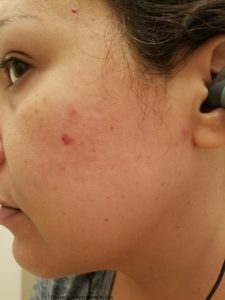 I didn’t know how to use a derma roller or had the slightest idea of what it was up until November 2018. The first picture was taken on October 26, 2018, my skin looked awful. 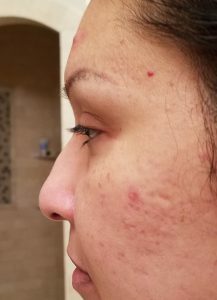 The second one was taken after using the derma roller three times in December 2018. 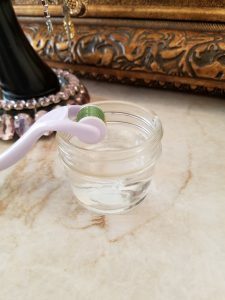 All of November 2018 I was doing as much research as I could before I jumped into using the derma roller. As you can see the scars are barely noticeable and my skin looks 10 times better than before. In my opinion, the roller and in conjunction with some great skincare products works very fast and very well. Always derma roll your skin before you go to bed. Always sanitize your roller before and after use. Store your derma roller in the plastic package it came in. Keep the needles from touching other surfaces besides your skin as much as possible. Other surfaces can make the needles dull. Do not use exfoliants on your face, the derma roller exfoliates the skin for you. Do not share your derma rollers. You can not use Retinol before or after using derma rollers. For first time users that need to use two different size rollers; use the smaller one at least two times before you begin to use the larger size. See below. Derma Rollers need to be replaced after 10 uses. Derma Rollers are also used as an anti ageing treatment and can be used under the eyes, lips, neck and chest. They have also been used for stretch marks, underarms (armpits) and for hair growth. There are different size rollers but only a few sizes can be used at home. Click here for more info. Never derma roll if the next day you plan to shave, wax, work out or be in the sun for a long period of time. Wait at least 24 hours without doing these activities. I suggest you do these activities at least 24 hours before you use the derma roller. If you don’t wait you will have a severe burning or itching reaction. Not good, it happened to me the first time. If this happens to you apply organic aloe vera to help sooth the skin. And just wait for the next day to do what you were doing. Do not derma roll if you have acne or open wounds in the areas you plan do derma roll. Unless you can work around them. Derma rollers do not remove acne. 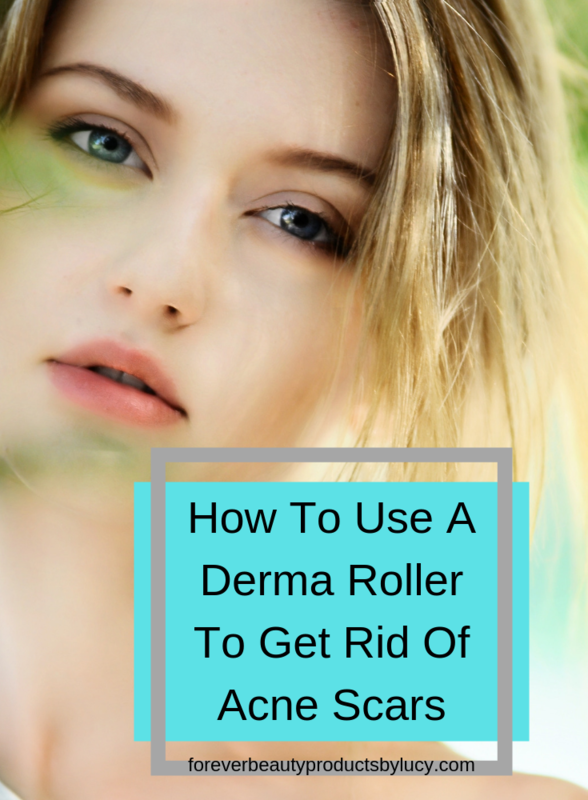 The derma roller works best on new scars. It takes a bit longer to get rid of older scars. The derma roller does not remove hypertrophic scars (raised). Men can also use a derma roller. If you are pregnant ask your doctor if you can use the derma roller while pregnant. 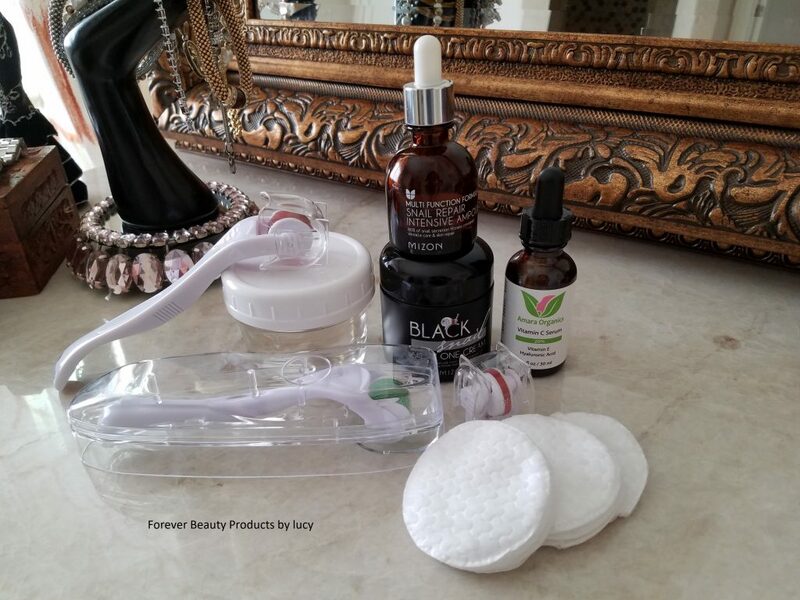 Before I show you how to use a derma roller you will need to gather a few items. Which are very important for this regimen. These are exactly the derma rollers I have been using and the repairing serums as well as the repairing cream. These items have given me results. 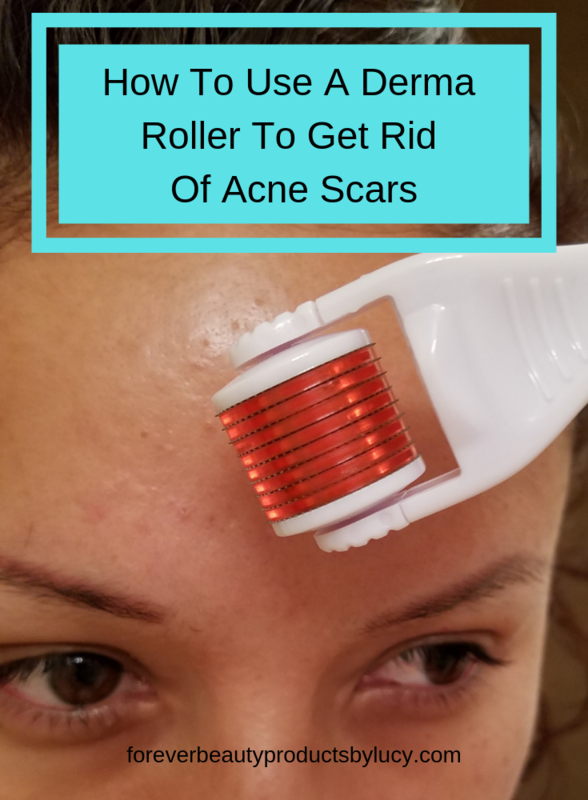 I had moderate acne scars so I used two different needle length rollers. All right, I think I have covered quite a bit on the derma roller now it’s time to learn how to use a derma roller. *Always work in a clean area, wash your hands and always wash your face and remove all your makeup, including eye makeup. 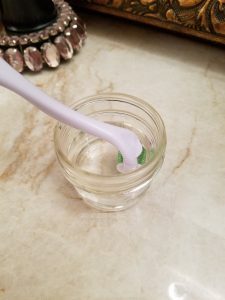 The very first thing you do before you wash your face is, very gently place your derma roller(s) in a glass container filled with 70% isopropyl alcohol. Let the roller(s) soak throughout the time you are washing your face. Once you have finished washing your face, gently take the roller(s) out of the alcohol, shake it off and let it dry making sure the needles are not touching any surface. If you will be using multiple size rollers I would advise soaking them all at the same time. While the roller(s) is drying apply the skin toner to your face and neck with a cotton round. Let the toner dry, once it has dried apply the numbing cream. Apply the cream all over your face including under your eyes, eyebrows, jawline and lips. Not the eyelids. If you plan to derma roll your neck this is the time to apply numbing cream as well. I personally don’t use the numbing cream on my neck. *It’s completely up to you if you would like to use a numbing cream. I tried the derma roller without the cream on my face and it really hurt me. Numbing my skin still feels uncomfortable but does not hurt as much as without it. It takes about 25 to 30 minutes for the cream to somewhat numb my skin. I still feel discomfort after 30 minutes but I think that is the most the cream will numb my skin. Some people have said they feel absolutely no pain and some say they do. I guess it all depends on your skin. 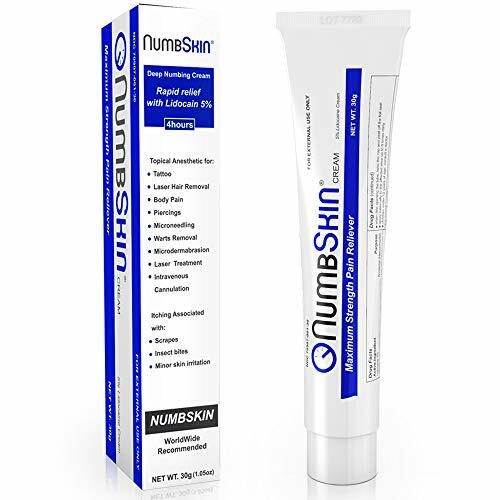 *I read many reviews on other numbing creams and this one had the highest amount of positive rating on numbing. So I don’t want to take my chances on the ones with lower ratings. The numbing cream keeps my skin numb for about 20 to 25 minutes. But like I mentioned I still feel discomfort in some areas. When the 25 to 30 minutes are up, wipe off the cream with a cotton round and 70% isopropyl alcohol. If you plan to derma roll your neck also wipe it with the alcohol even if you did not use numbing cream. Now you are ready to begin the rolling. How to use a derma roller is not very hard at all. When I use the derma roller I always start at my most sensitive areas first such as the lips, under my eyes and right above my temples. I find those areas tend to hurt a bit more than in other areas of my face. You roll the roller the same way as if you would on your face when you use it on your body. 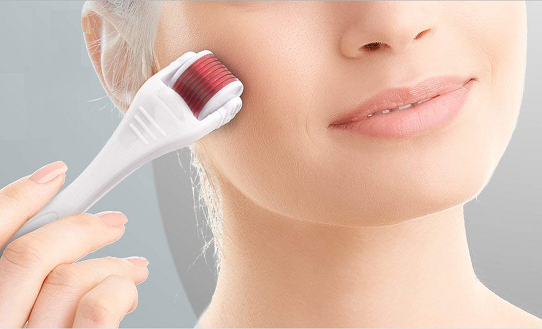 Find the derma roller right for you. When you roll use the same amount of pressure as you would when you shave your legs. 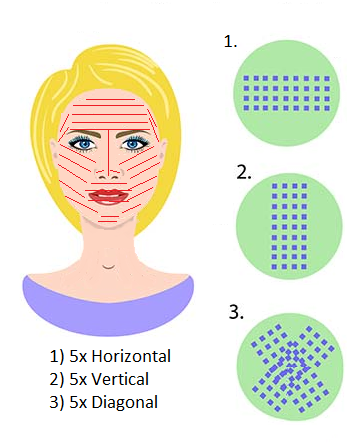 You need to roll where the red lines are as shown in the image above, including the jawline and neck (if you plan to do the neck). You need to roll each area 5 times horizontal, 5 times vertical and 5 times diagonally. The bridge of the nose and under the eyes are a bit hard to do in all directions. I just try my best in those areas. **for the nose itself I use the derma roller head size 180 which is a smaller head. This head comes with the .25mm roller I have listed above. Every time you have rolled an area 5 times always lift the roller to switch directions or to move on to the next area. You want to puncture your skin not cut it. Your skin will start to turn red, feel irritated and dry. This is very normal. If you see areas with small spots of blood that is normal too. You shouldn’t have blood dripping if this happens then you might be using too much pressure or you are rolling in the same area too many times. Remember 5 lift, 5 lift and 5 lift. Do not use the derma roller on pimples, cystic acne or open wounds. 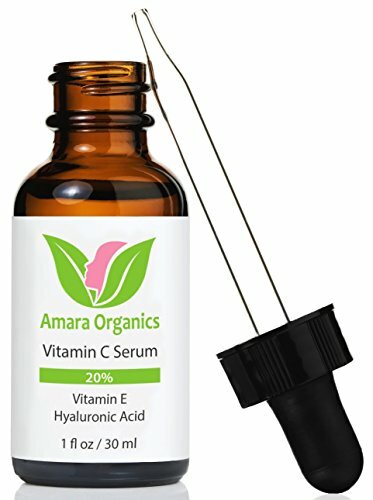 Once you have finished derma rolling put your head back and gently drip the Amara Organics Vitamin C Serum onto your skin. The serum is very watery like so you want to gently rub it in quickly. One full dropper is enough for my face and neck. Gently apply the serum all over including under your eyes and lips. The serum stings just a tiny bit if any. 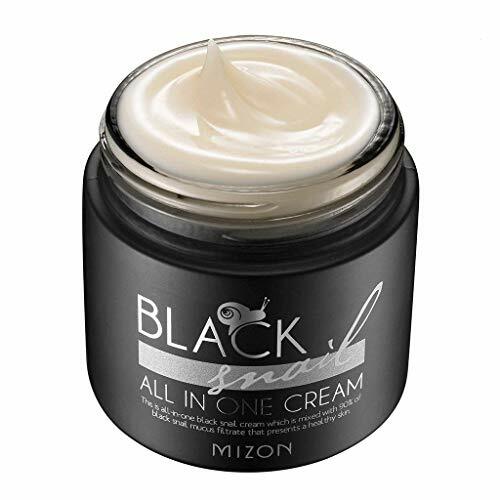 Once the serum has soaked in next your apply the Black Snail All in One Cream. Apply it onto your skin in the same areas as the serum, it might sting just a little. When you get out of bed the next morning your skin will feel very dry and irritated and will be a little red. You still need to care for your freshly punctured skin. It’s like part two of a three-step process to get rid of the acne scars. You need to hydrate your skin as much as possible. Do this by drinking at least 4 water bottles and put plenty of hydration onto your skin. Wash your face gently, I personally use CeraVe Hydrating Cleanser, this cleanser is gentle and hydrates your skin. Your skin will be sore Do not use a face brush to wash your face only use your hands and warm water. This is only for the day after you derma roll. Always use 50 SPF face lotion or cream especially after derma rolling. 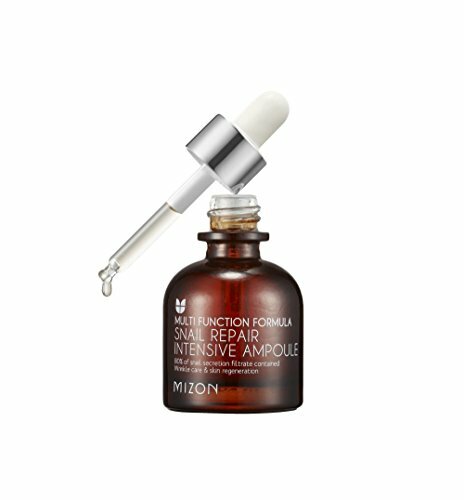 After you have washed your face and neck apply a hydrating toner and the Mizon Snail Repair Intensive Ampoule just like you did with the serum the night before. I would recommend using hydrating creams or gels on top of the ampoule since your skin will feel so dry. I use the Anew Hydra Fusion Collection. Which consist of a replenishing serum, hydra gel cream and hydrating eye serum. If you’d like to read more about the Anew Hydra Fusion Collection click here. I also strongly advise using a face lotion or cream with SPF 50 to protect your skin from the sun. 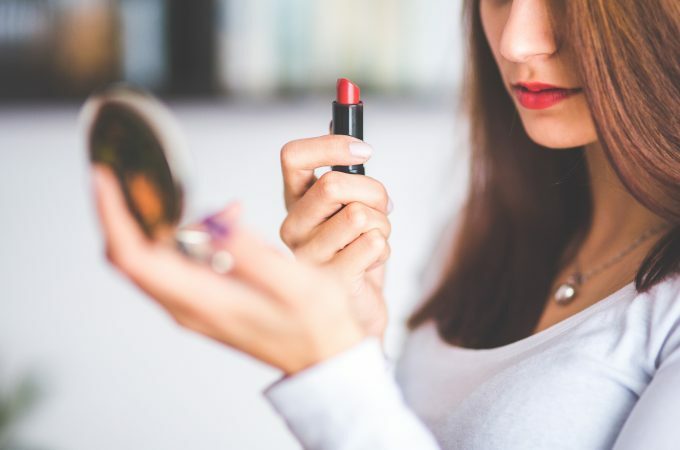 At this time you can use makeup if you like. You have one more step to do in the evening after you have washed your face. You need to use a sheet mask with collagen essence. Collagen is the main structural protein found in the skin at this point, your skin really needs it to help itself rejuvenate. 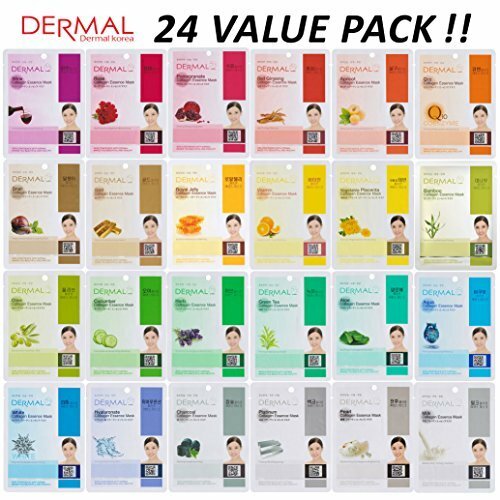 I personally love the DERMAL Collagen Essence Full Face Facial Mask Sheet pack. 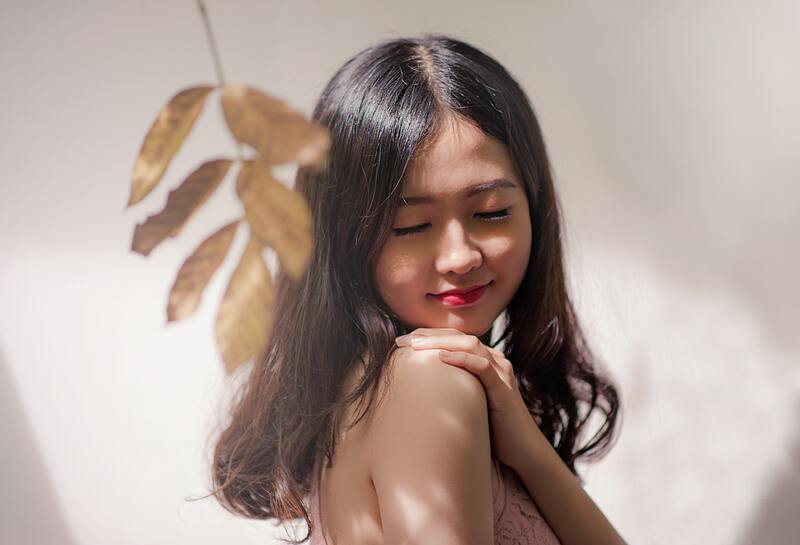 The reason is for the great variety of collagen sheet masks and how good they work. And one more reason each mask is so saturated with collagen essence that they can be used two times. As long as you put it back in its pouch. I fold the pouch and seal it with a paper clip. 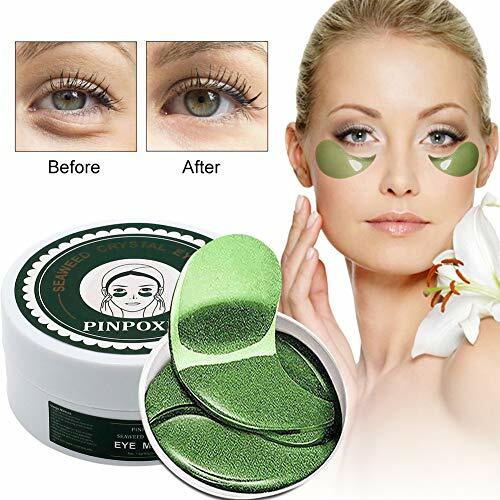 I also apply a seaweed eye mask to help hydrate under my eyes. **I always use the serum, ampoule and snail repair cream daily as this has really helped repair my skin and has given my skin a nice glow. I apply them as if I had just derma rolled my skin. I always do a sheet mask the night after I do the derma rolling and try to squeeze in a second mask during the week but it’s not necessary. Now you have learned how to use a derma roller. 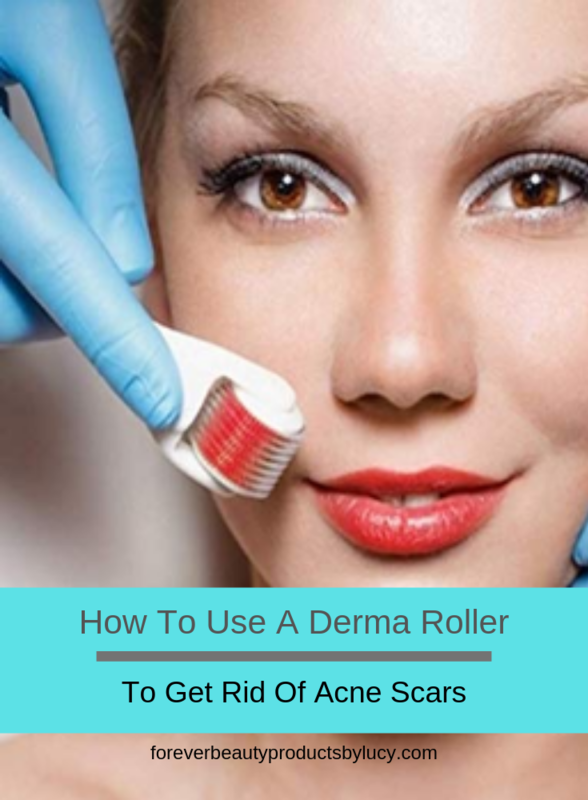 If you follow these steps you will for sure see results after the third time you use the derma roller. Like I mentioned before the products I listed are exactly the ones I use on a daily and when I use the derma rollers. These products are the ones that have given me results. I can’t speak for other products since I have not tried them and don’t know what kind of results to expect. Doing this skin care regimen has brought back my confidence and I walk with my head held high. I love the way my skin looks and every time I do this regimen my skin looks better and better. 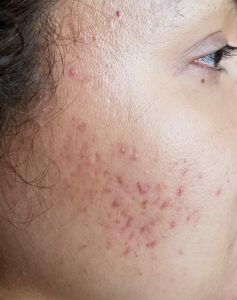 This is why I will continue to use this magical wand and skin care products I listed on this post they work very well together. 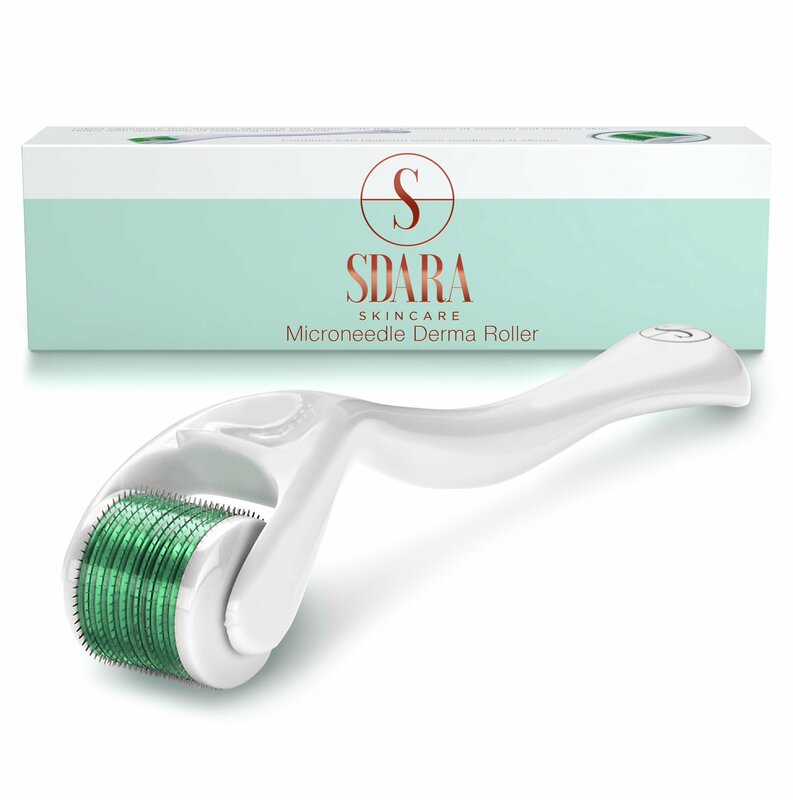 Micro Needling At Home What Size Derma Roller Should I Use? 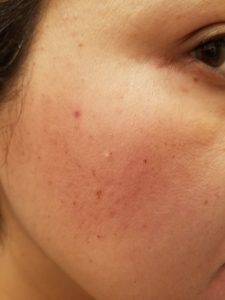 How Often Should I Use My Derma Roller?